This morning we got the latest Empire State Manufacturing Survey. 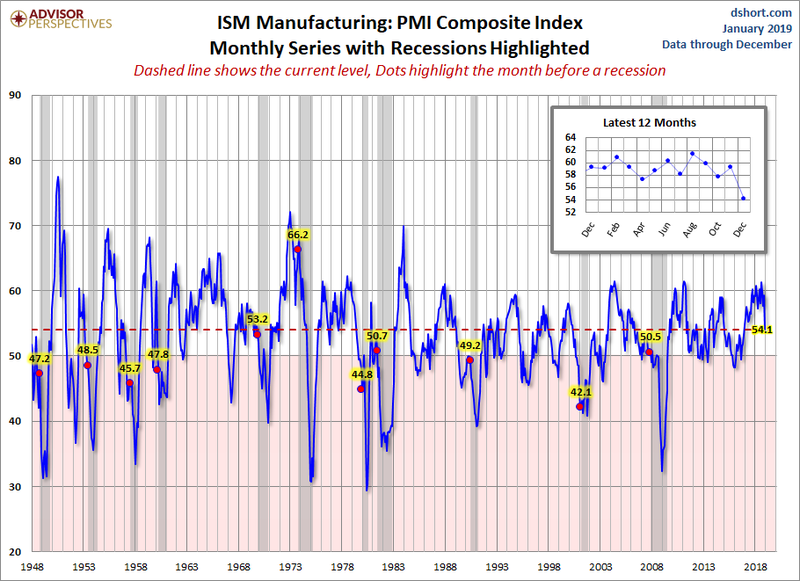 The diffusion index for General Business Conditions at 3.9 was a decrease of 7.6 from the previous month’s 11.5. The Investing.com forecast was for a reading of 10.75. 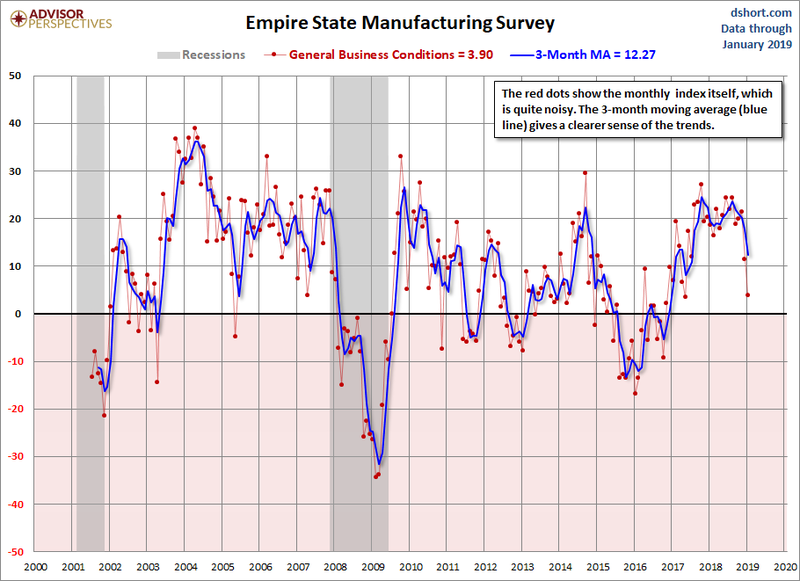 The Empire State Manufacturing Index rates the relative level of general business conditions in New York state. A level above 0.0 indicates improving conditions, below indicates worsening conditions. The reading is compiled from a survey of about 200 manufacturers (NYSEARCA:XLI) in New York state.